Most Mac computers use Safari as the default browser. The steps below demonstrate how to download designs with Safari. 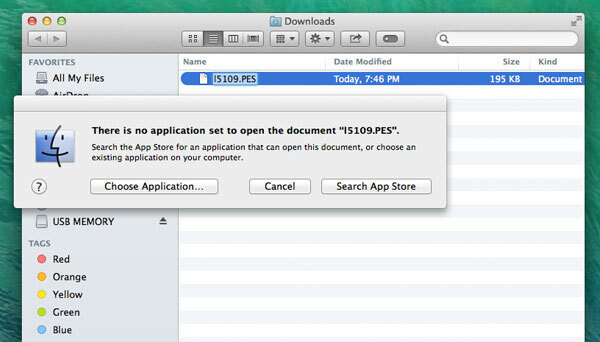 The operating system on the Mac is OSX; the steps or screens may vary if your Mac uses a different operating system. Under the "General" tab, check to see where files are being directed. 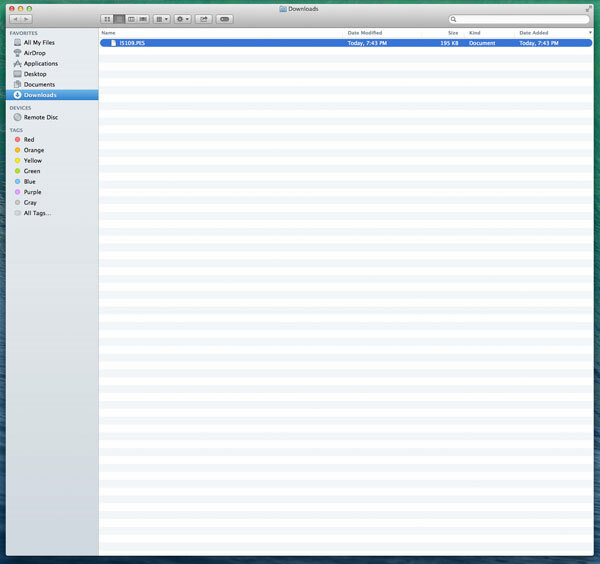 This image shows that files are being saved to a "Downloads" folder, which is just fine. You can change the destination to another folder or location if you wish. 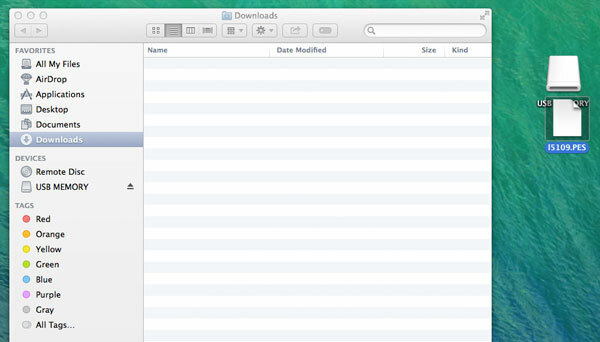 After you have Safari's settings adjusted to download files where you want them, click the Order History tab at www.emblibrary.com. Click on the link to the order that you wish to download. There are two columns with links. One column is labeled "Download," the other is labeled "Email." 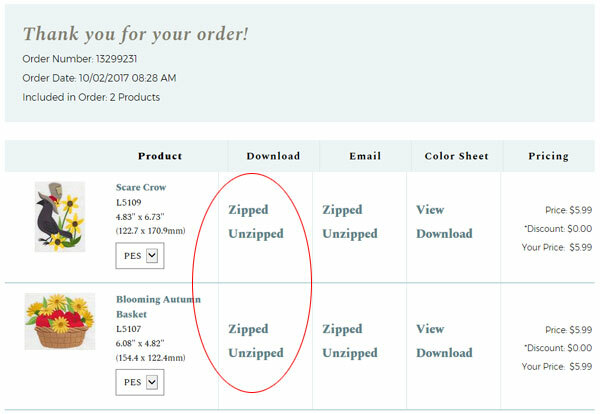 Click a link in the "Download" column to download that design. The design will automatically go to the folder that you've selected -- in this case, the Downloads folder. Double-click on the Downloads folder to open it - and the design is right there. 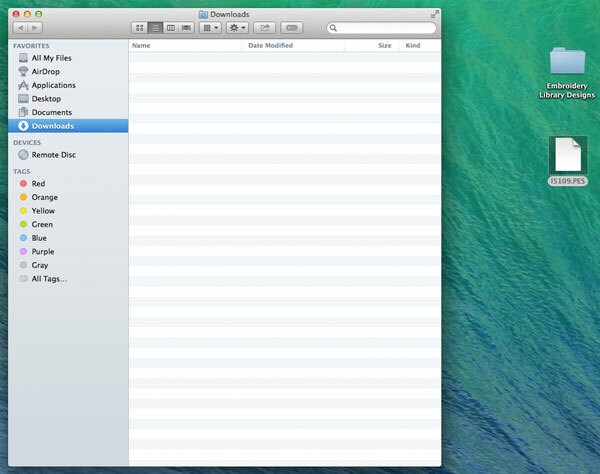 If you downloaded to another folder or location on your Mac, then go to that location or folder to see the design. Click, hold, and drag the design out of the Downloads folder to a new location -- such as a folder. 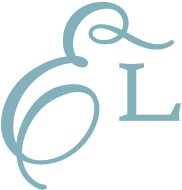 In this example, the folder is called "Embroidery Library Designs," and it's one that I created on my computer to store designs. Or, you can drag the design to a USB drive. In this example, I've put the USB drive in the port on the Mac, and that makes the USB icon appear on the desktop. Click, hold, and drag the design out of the Downloads folder, and drag it over the USB icon. That writes the design to the USB drive. 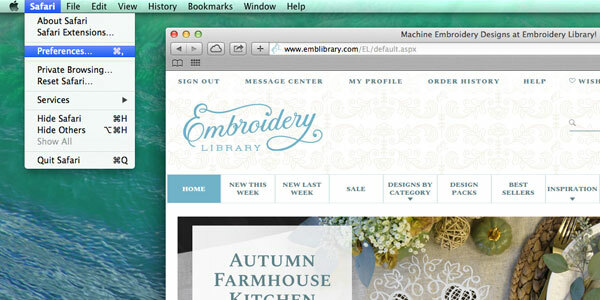 The steps above show how to download designs with Safari on a Mac. Sometimes people that are new to downloading can confuse the steps for "downloading" and "opening." If you wish to open embroidery designs on your Mac, then you will need to install an embroidery software program on your Mac. Software can be helpful for printing templates and viewing designs. But in many cases it isn't necessary. 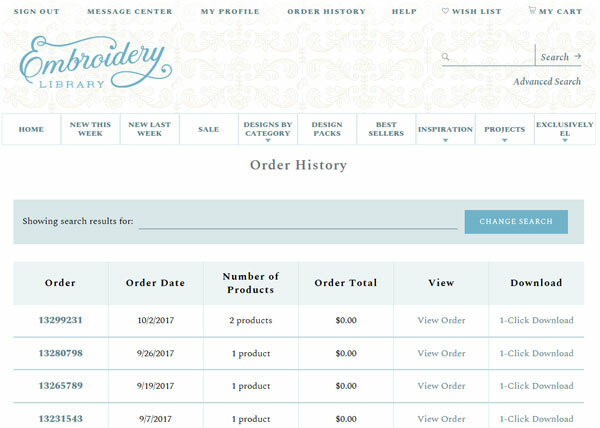 Designs can be downloaded on a Mac, transferred to a USB drive, then uploaded to the embroidery machine without being opened.